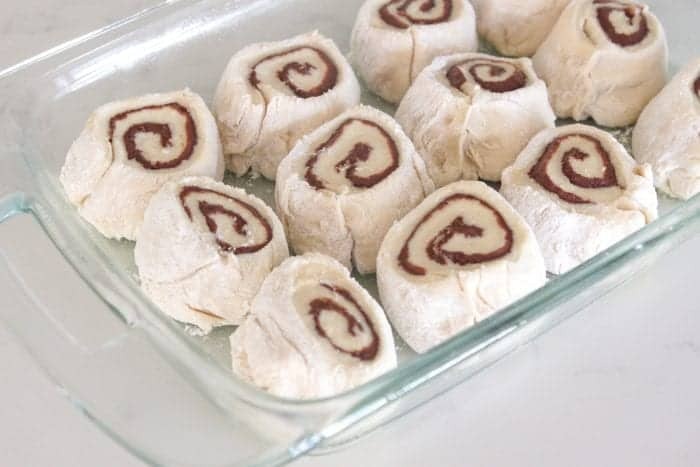 These Chocolate Hazelnut Sweet Rolls make the perfect surprise for your family and friends. It’s a pleasure partnering with Fleischmann’s® Yeast today to bring you these gorgeous Chocolate Hazelnut Sweet Rolls. 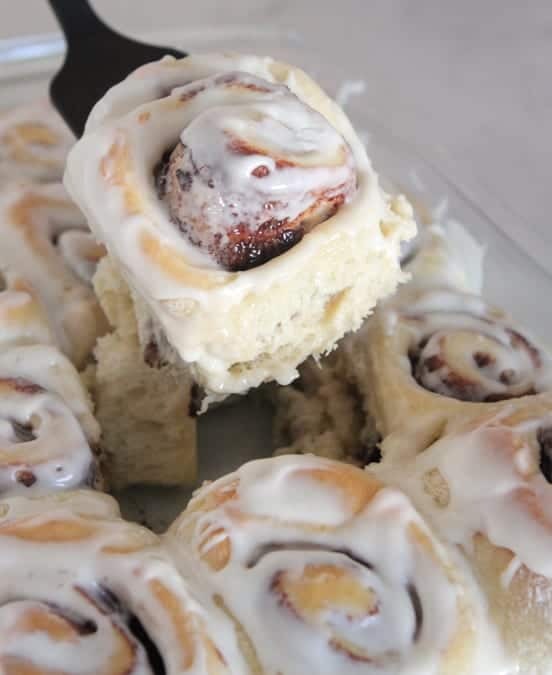 There’s something so special about making homemade rolls. Especially in the winter, when it’s oh-so cold outside and you just want to get cozy. It’s the kind of 1-dish recipe that puts a smile on everyone’s faces when they see them sitting on the counter and that smell – so delicious! 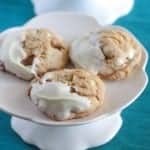 They are perfect to bake for any occasion and since baking is one of my favorite ways to show how much I care, I couldn’t wait to make these and share them. Can you imagine how perfect these would be for Valentine’s Day coming up? I was inspired from Feischmann’s Beginner’s Caramel Rolls and decided to shake up the sweetness by adding chocolate hazelnut. If you don’t use yeast much when baking, don’t be intimated, it’s actually quite simple and fun. 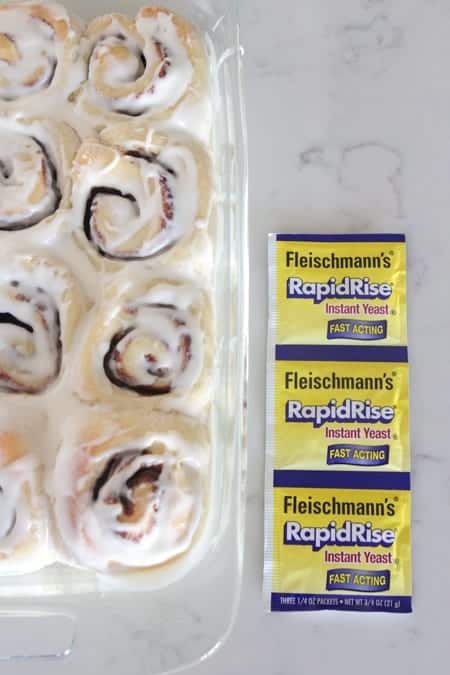 I love Fleischmann’s® RapidRise™ Instant Yeast because it is so versatile and can be used in both every day and seasonal recipes. I love that you can get your baking done a bit faster with RapidRise™ too. It’s my favorite to have on hand because it requires only one rise. You’ll start by adding your warm water and butter to some dry ingredients. Make sure your dough hook is attached. Mix to combine then add your egg. Continue to add additional flour until ball forms. 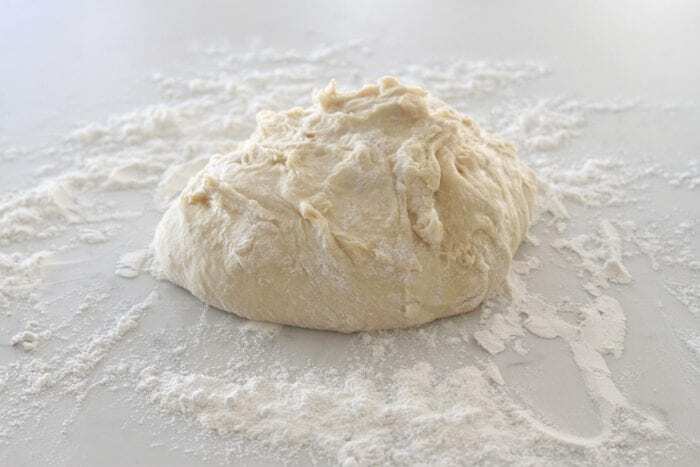 Transfer dough to a floured countertop. Roll to about 15 x 10-inch rectangle. Spread with chocolate hazelnut spread leaving about 1/2 inch around borders. Roll up, seam side down. 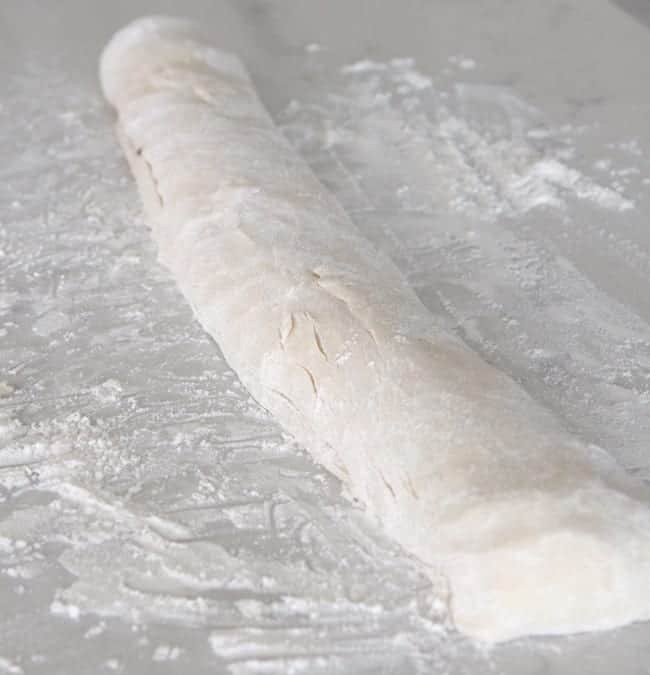 Use unflavored dental floss to make easy cuts in the dough. 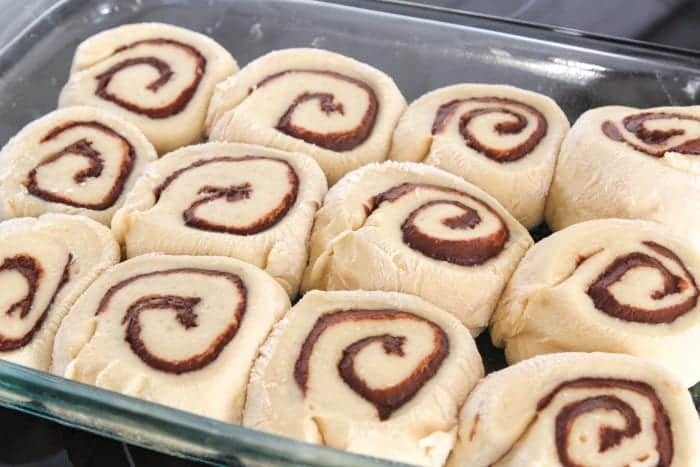 Place rolls into a 9 x 13-inch baking dish that’s been lightly sprayed with cooking spray. Place in a warm oven for 15 minutes. 175 degrees F. works great. Remove from warm oven, they should be about doubled in size. Increase temperature to 350 degrees F.
Bake for 20-22 minutes, until baked through. Remove and let cool. 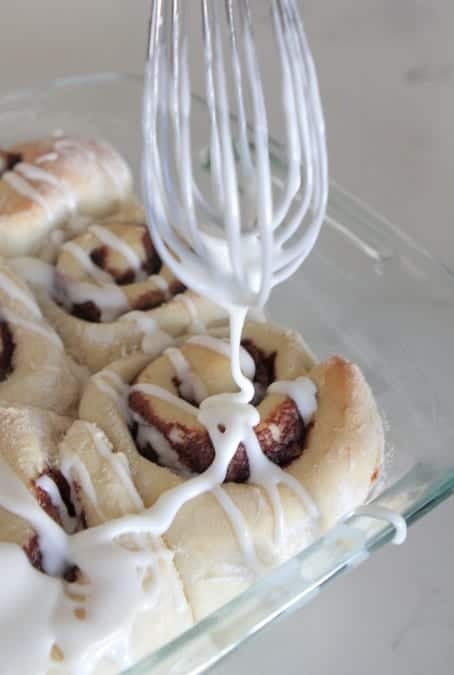 Whisk the powdered sugar and heavy cream to make icing. Time to drizzle over rolls! Perfection! 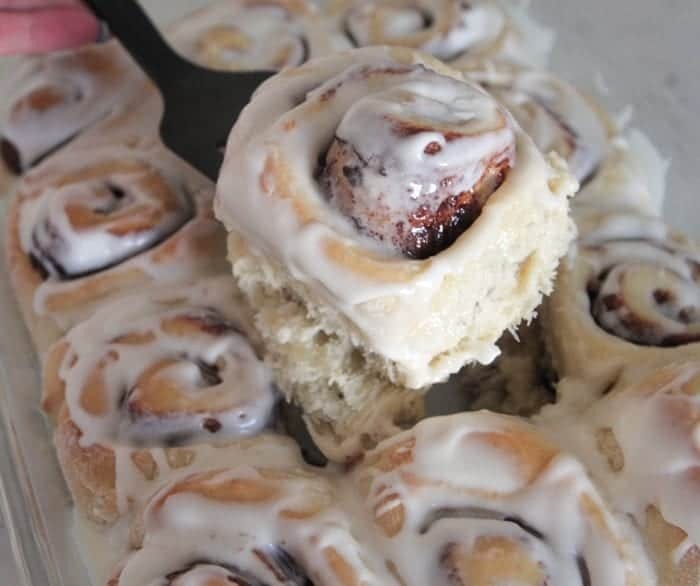 I used an offset spatula to spread icing over each roll. Not even kidding, these rolls blew us away. From start to finish you’re looking at about an hour. Not bad for amazing homemade sweet rolls! 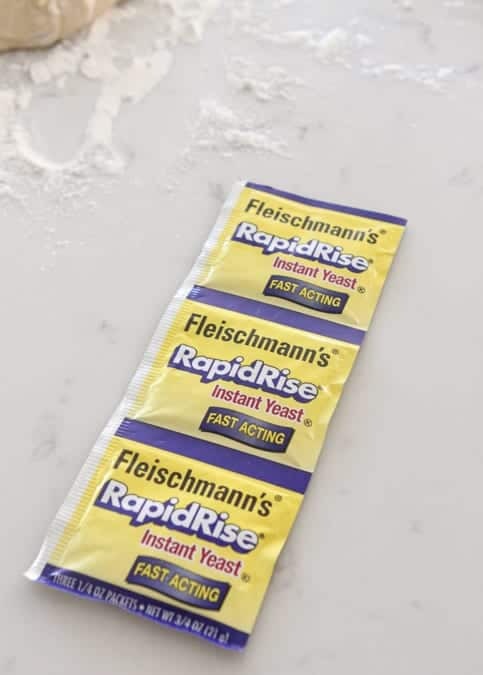 Can’t say enough about Fleischmann’s® RapidRise™ Yeast. Be sure to keep it stocked in your pantry. You’ll be glad you did. 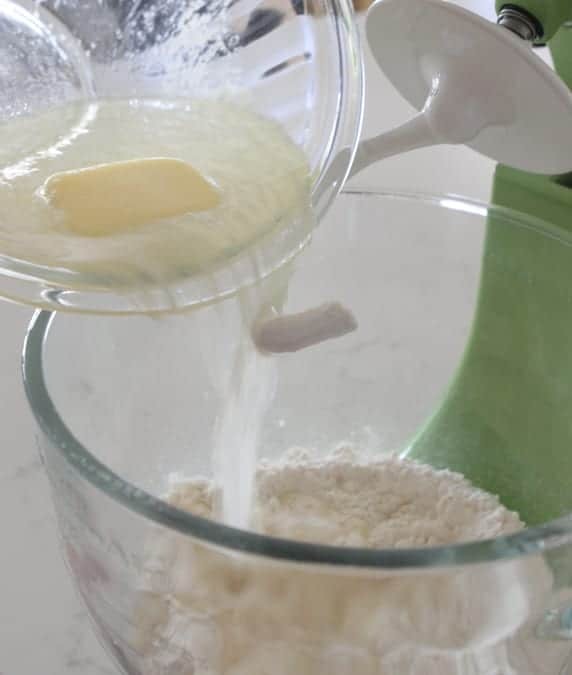 Combine 2 cups flour, sugar, dry yeast and salt in stand mixer bowl and mix with bread hook attachment until blended. Place water and butter in a microwave-safe bowl. Microwave on HIGH in 15 second increments until very warm but not hot to the touch (120° to 130°F. Butter won’t melt completely). Add to flour mixture with egg, mixing on low to combine. Mix on medium for 2 minutes, scraping bowl. Add 1 cup of flour, mix another minute on medium heat, scraping sides of bowl. Continue to stir in just enough remaining flour so that dough forms a ball that doesn’t stick to sides of bowl, about 3-4 more minutes. Transfer dough to a floured countertop. 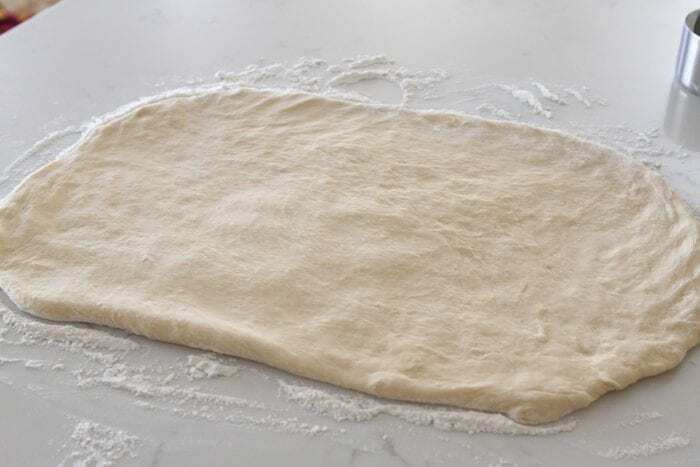 Roll dough into a 15 x 10-inch rectangle using a rolling pin. 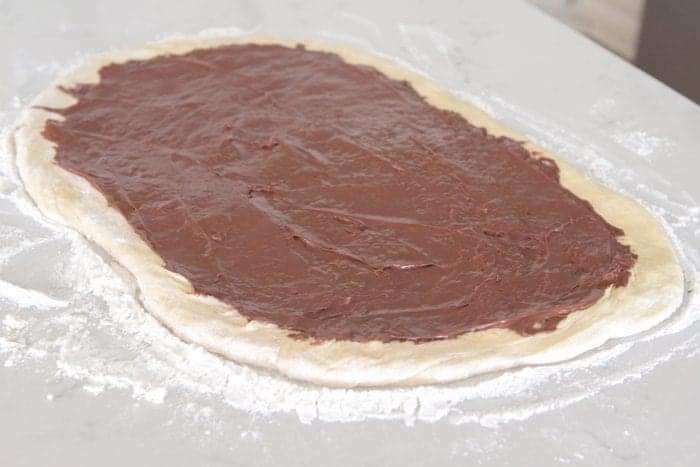 Spread chocolate hazelnut spread over dough, stopping 1/2-inches from the edges on the long sides. Beginning at long end of each rectangle, roll up tightly. Pinch seams to seal. Cut into 12 equal pieces. TIP: Use unflavored dental floss instead of a knife to cut rolls. To do, cut a piece of floss about 12 inches long. Slide floss under the roll; bring the ends up and cross over to cut each slice. Place, cut sides down, in prepared a 9×13 inch baking dish sprayed lightly with cooking spray. 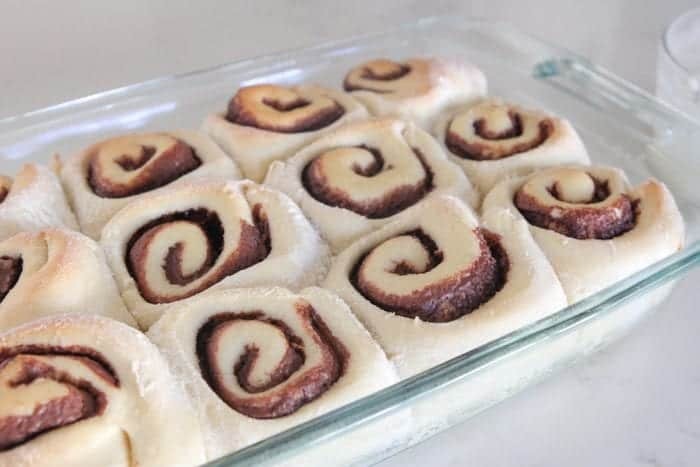 Place rolls in a warm (175 degrees F.) oven for 15 minutes. Should be just about doubled in size. 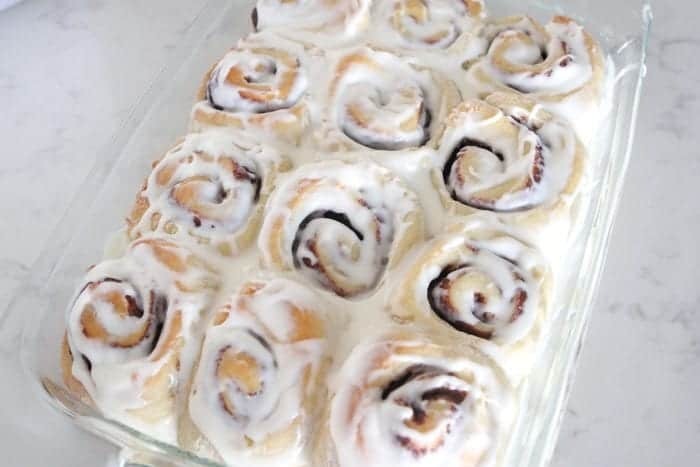 Remove from oven, increase heat to 350 degrees F. Bake rolls for 20-22 minutes or until baked through. Remove and let cool. 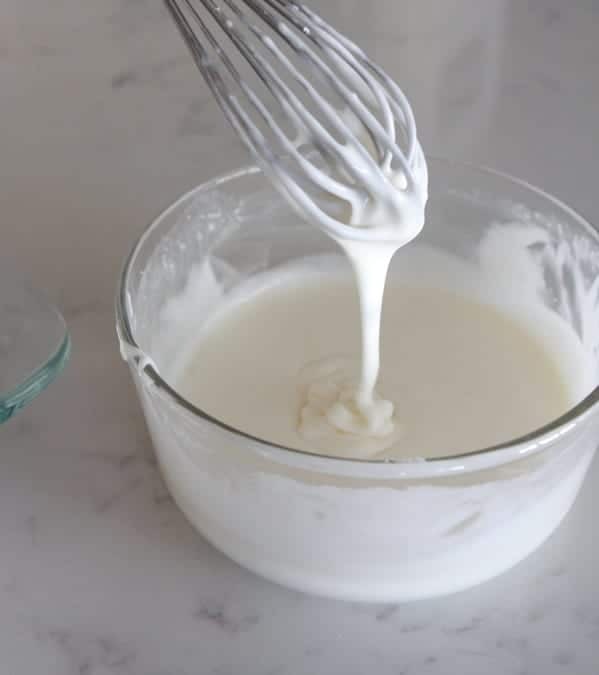 Place powdered sugar and heavy cream into a medium bowl whisking to combine. Should be a nice drizzling consistency. Add more cream to thin or more powdered sugar to thicken. 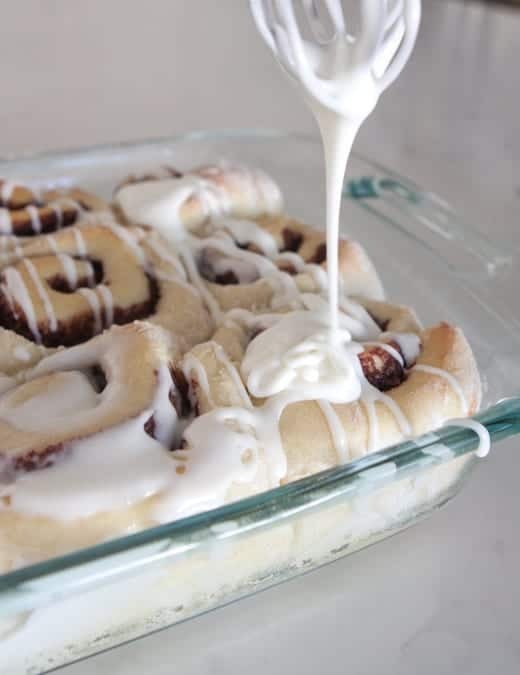 Drizzle icing over rolls and serve with warmed or room temperature. It’s only 6am here, which means I totally have time to get my breakfast on! These are GLORIOUS! You don’t mention the yest in the ingredients so how much yeast do I use? Love the chocolate hazelnut spread in these! 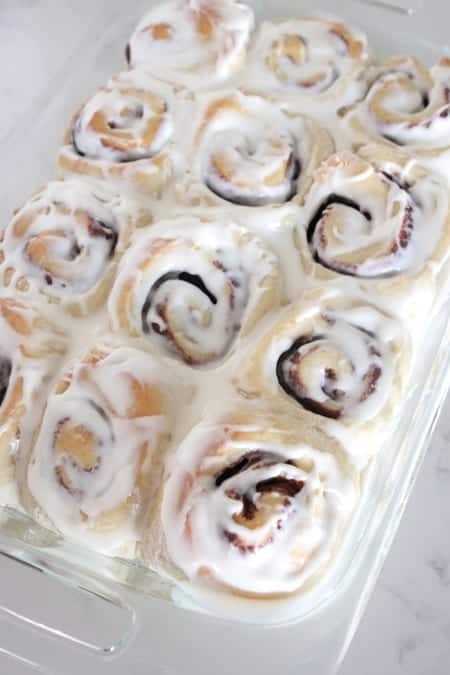 Chocolate and hazelnut is one of my favorite dessert combinations, so I’m thinking these cinnamon rolls would win me over in one bite. How much yeast? You don’t have it listed in the ingredients. Ummmm…and where is the butter? These look like absolute heaven – my boys would go nuts for these!! These look decadent & delicious! 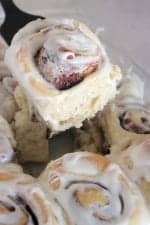 Homemade rolls can be tricky, but these look amazing! Love the chocolate hazelnut twist! 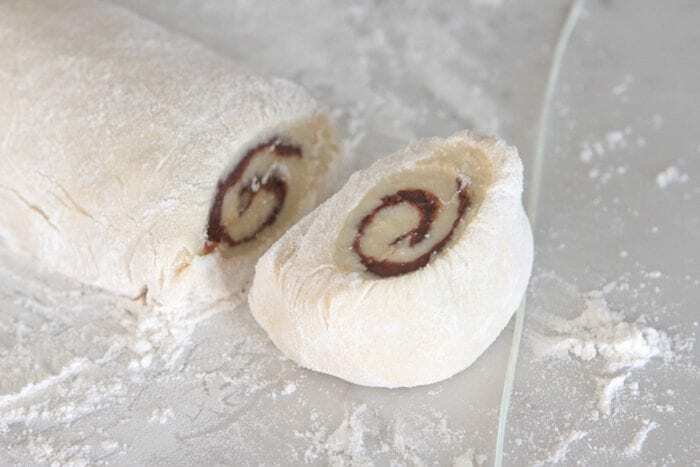 I am looking to this kind of rolls and it is seems good chocolate hazelnut . Like Mumbai, the Sunrisers equally as have the work of too much to ponder over, with players such as David Warner, Shikhar Dhawan, Bhuvneshwar Kumar, Kane Williamson, Rashid Khan and Mohammad Siraj to choose from.